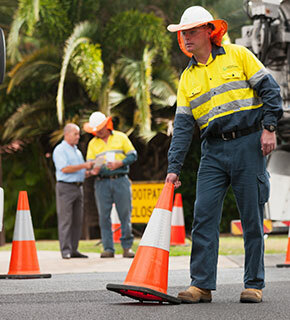 Work has now been completed for the Eight Mile Plains Sewer Upgrade project, which involved the construction of 380 metres of new sewer main pipes and seven new maintenance holes on the the section of footpath connecting Daw Road and Savanna Place, Eight Mile Plains. Replanting of the nature reserve has also been completed, and the footpath connecting Daw Road and Savanna Place has been reopened. Thank you for your patience while these important works were carried out. As part of this commitment, a new 380 metre sewer main and seven new maintenance holes were installed in Eight Mile Plains, near Daw Road. Work began in late May 2015 and finished in October 2015.